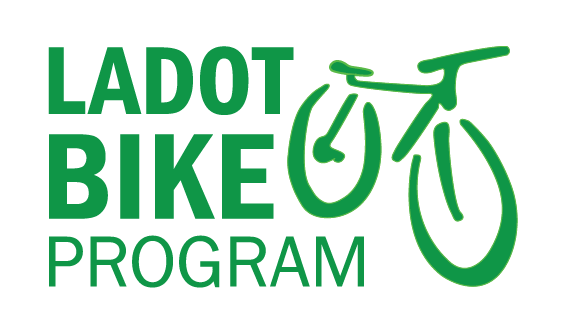 We have some great news to pass on to you since we last reported on “Give Me 3” compliments of the California Bicycle Coalition! By a 8-5 vote, the State Assembly Transportation Committee passed “Give Me 3” (SB 910). Next up, the bill will head over to the Assembly Appropriations Committee for further consideration. 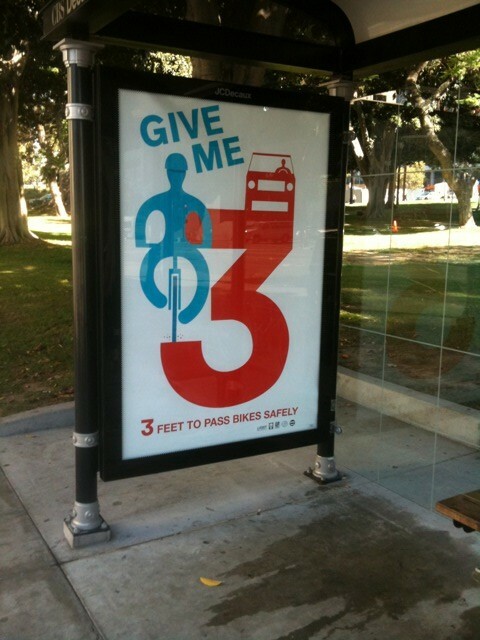 Thanks to the bicycle community’s strong support (over 200 people contacted committee members to express their support for the legislation), “Give Me 3” overcame opposition from automobile and trucking interests and is now a step closer to becoming state law. 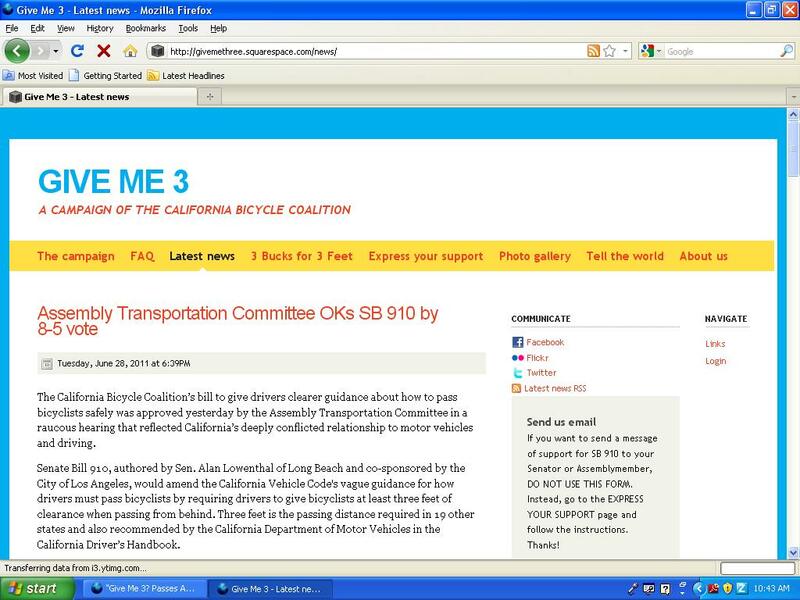 For more on the SB 910’s passing the State Assembly Transportation Committee and for the latest on “Give Me 3” (SB 910), be sure to check out the California Bicycle Coalition’s official Give Me 3 website. The 3-foot passing bill SB 910, sponsored by State Senator Lowenthal (D – Long Beach), has recently passed through all the state legislature committees necessary to come before the full California State Assembly. Though this is wonderful news, there is still much work to be done. For a 3-foot passing law to become law, it will need the vocal support of bicyclists from all over the state. Covered extensively last week by Streetsblog, the legislation has gone through a few revisions to garner the political support needed to get to this phase. Despite the changes made, this is still a worthwhile piece of legislation that will help to keep bicyclists safe on the streets of California. Previous attempts at adopting a 3-foot passing law in the State Assembly have failed before, and we should hardly let the perfect become the enemy of the good when we have the opportunity to save lives on our streets. 3-foot passing legislation has been adopted by many states across the country, and it is high-time California follows suit. 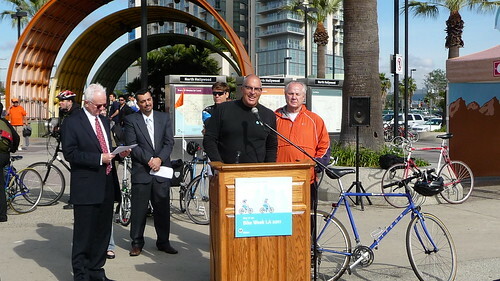 In his acceptance of the Golden Spoke Award at the Blessing of the Bicycles during Bike Week LA, Mayor Villaraigosa touted SB 910 and the City’s role in bringing this legislation to the State Assembly. He also exhorted bicyclists from around the state to get in touch with their state representatives to show support for the bill. The vote is certain to be a close one, and SB 910 will need all the support that the LA bicycle community can muster. 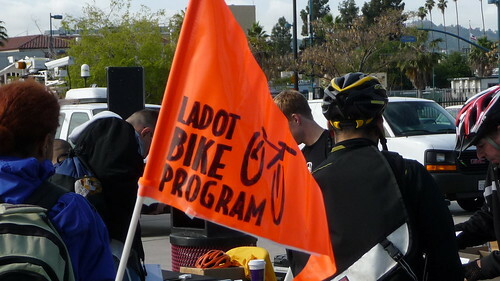 When SB 910 is agendized for the State Assembly, LADOT Bike Blog will be sure to update you in time for you to contact your representatives. Legislation meant to improve bicyclist safety statewide has cleared another hurdle towards passage. S.B. 910, sponsored by Senator Lowenthal (D – Long Beach), made it onto the state’s legislative agenda early this month at literally the 11th hour. It will now go before various committees, the State Senate Transportation and Housing Committee being the first on May 3rd, before coming to the floor for a vote.